A quick and simple stir-fry! Canola oil works well because of its high smoke point. 1. In a wok or skillet heat canola oil over medium high heat. Add garlic and ginger to skillet. Stir-fry until fragrant, about 30 seconds. Add the salt and then the spinach. Stir-fry spinach to coat with oil, garlic and ginger. 2. 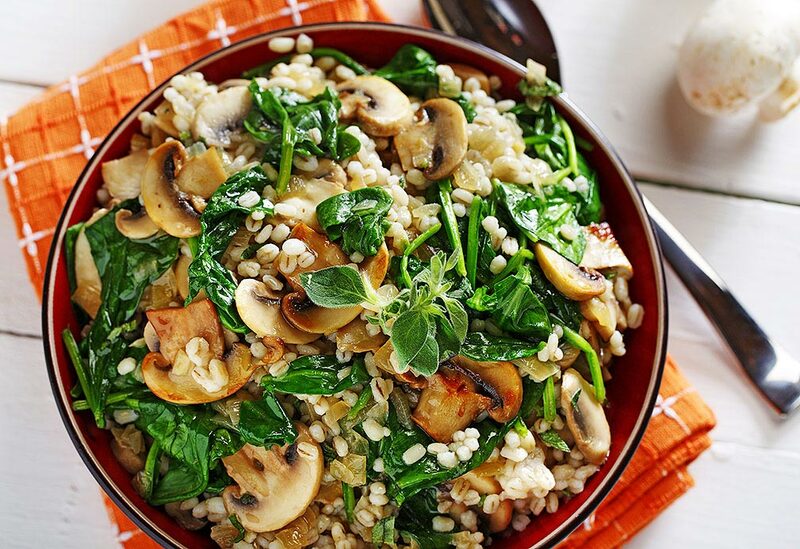 When the spinach has wilted to about one-third of its original size, add the sugar. Stir-fry for about 2 more minutes. Drizzle with sesame oil. Cook for another 30 seconds. 3. Transfer to a plate and pour off any excess liquid. Serve immediately. 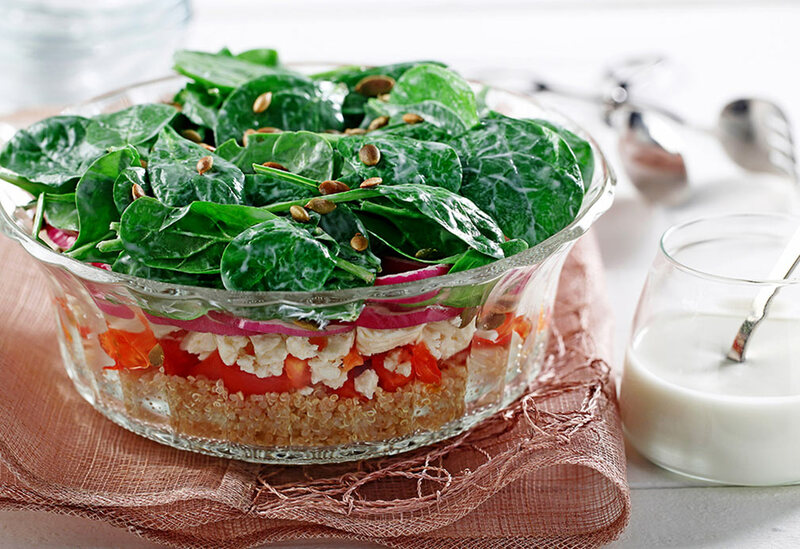 This colorful salad is equally attractive and tasty whether assembled in layers in a clear glass bowl or simply tossed altogether. The combination of yogurt, cheese, vegetables and grains makes for a well-balanced vegetarian meal. Canola oil’s low saturated fat content keeps the dressing free-flowing in the refrigerator. 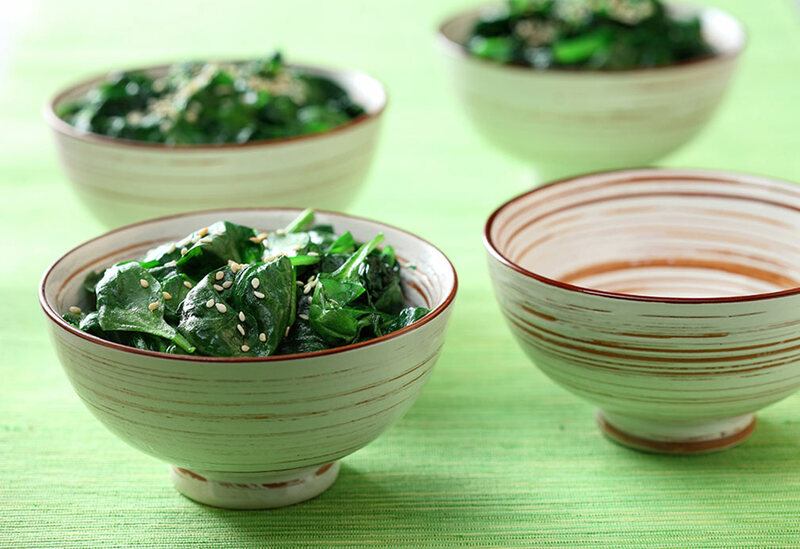 This Asian-inspired recipe is alive with shades of green from spinach and bok choy and distinct flavors of soy sauce, ginger and garlic. 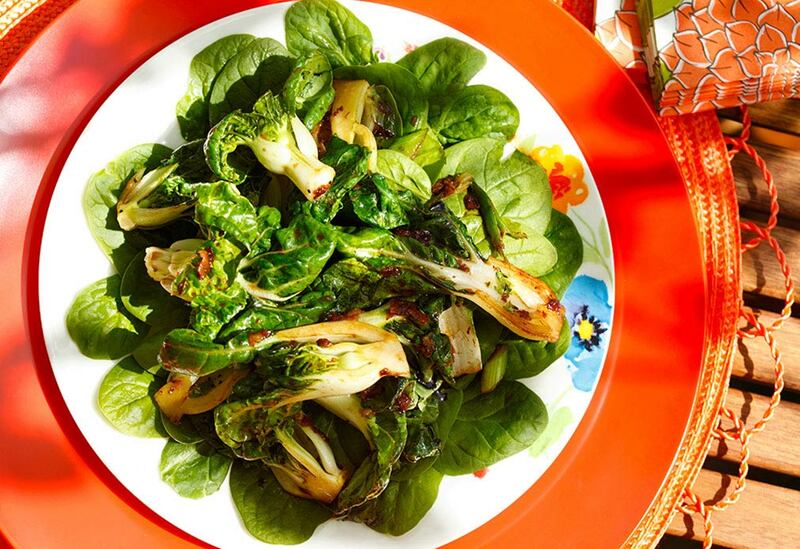 Using canola oil to sear the bok choy allows the vegetables to soften slightly while bringing out its natural, subtle sweetness. And when you arrange the sautéed bok choy over fresh spinach, the warmth gently wilts the spinach leaves. The result is a mouth-watering medley of tastes and textures.